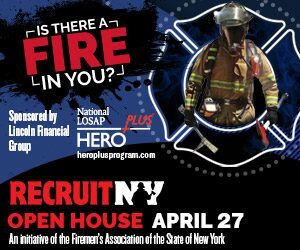 On April 27th from 11am to 3pm Farmington Volunteer Fire Association will hold its annual RecruitNY event at Station #2 located at 1225 Hook Road. This event is part of a statewide intuitive to help volunteer fire departments recruit new members. We will have members on hand to answer any questions. The sheriffs department will also be on hand to make safe child ID cards.